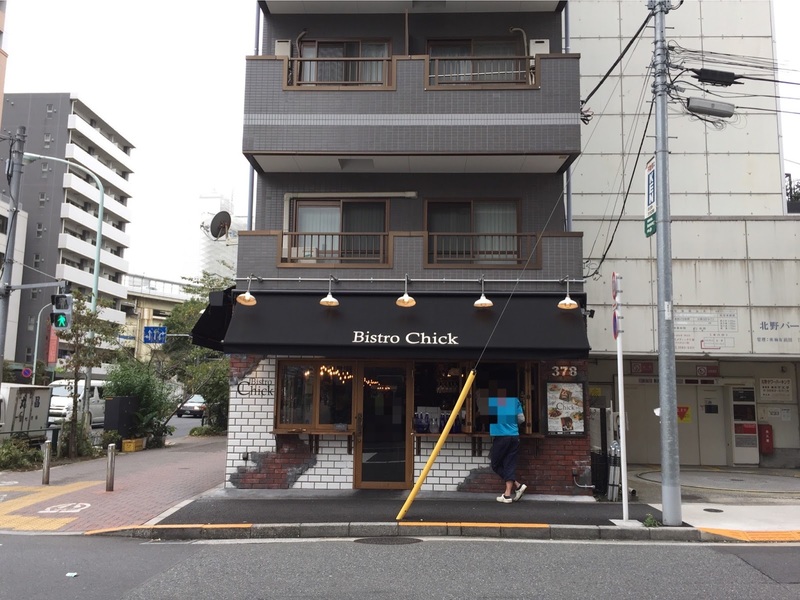 I had lunch with a friend of mine and she booked a table at Bistro Chick near Azabujuban station. There're about 7 tables and counter seats were also 7 or so. Lunch set includes salad, bread, main and even drink, and it starts at 1,200 yen ~ (tax incl.). I thought it's not bad for the area and location. The salad was in a large and deep bowl, not on a shallow and small plate like a tea saucer. There're red leaf lettuce, tomatoes, daikon radish, carrots and etc, and the dressing was vinaigrette. Bread was warm and the outside was lightly crispy and the inside was soft. For the main, I chose Tomato Pasta. They've created original fresh pasta, and the pasta is chewy yet also clear-cut with flour scent. 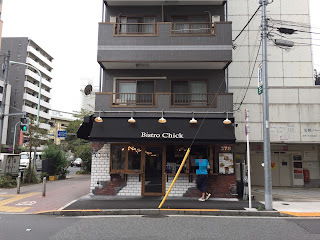 The pasta was similar to Himi Udon (flat and skinny type of udon noodles) and prismatic body, and it's very chewy. 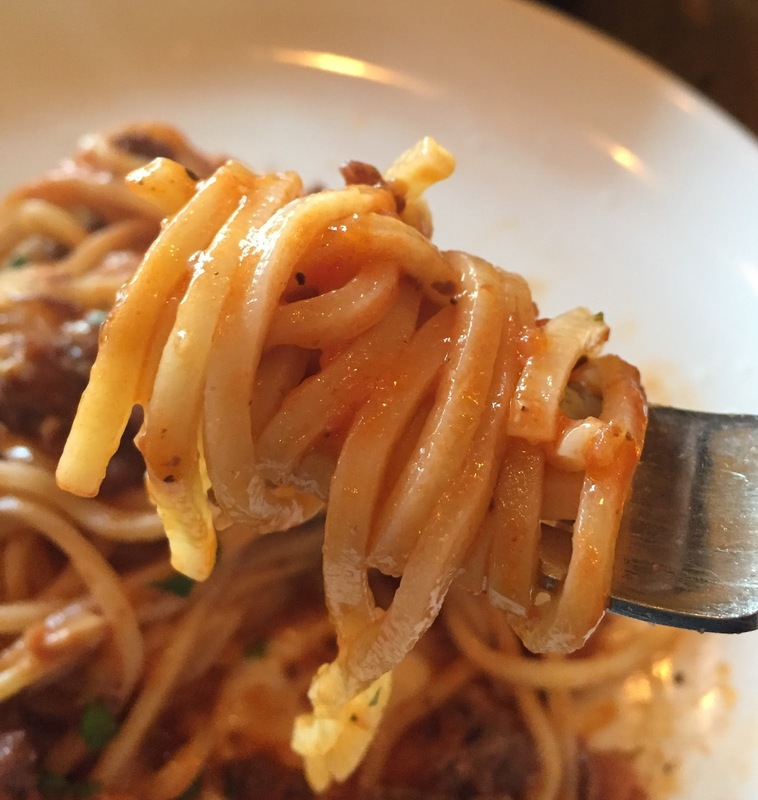 Both the appearance and the texture were different from ordinary pasta. It's more elastic than thick pasta but had the clear and light bite same as spaghetti. Bolognese sauce had light sourness of tomato, and there're chunky and juicy ground meat. The staffs were kind and helpful, and the plates were served one by one so that I could always eat just-made plates. 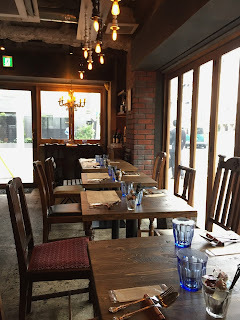 There're other choices and dinner menus that I was interested in, and I'd like to go back to the restaurant. The space was almost full at 1 PM or so on a weekday, so if you want to secure a table, I highly recommend making a reservation.